Please tell us a bit about how 3D printing is being used in the Dental Industry? Digital dentistry is rapidly becoming the standard production tool for dental laboratories. Offering the ability to cut production times, increase efficiency and accuracy and enable new business growth, the benefits of digital production are clear. For dental lab owners and managers, choosing the right technologies to deliver the best return is not always so straightforward. As providers of state of the art 3D Printing Solutions for digital dentistry, Stratasys is committed to enabling dental labs to reap the maximum benefits from the digital dentistry era. How would you summarize this development in a single sentence? 3Shape implants planning and guided surgery software brings together implant planning, prosthetics, and drill guide design to provide a cost-efficient solution that saves chair-time and improves patient experience. By combining CBCT scans with 3Shape’s TRIOS® digital impressions, dentists achieve accurate implant planning. This announcement is important since all Manufacturing pre-settings for Stratasys 3D Printers create seamless digital workflow for more accurate drill guides and improved patient experience. Who will care most about this development? All dental lab customers now have access to complementary solutions from the 3Shape Implant Planning and Guided Surgery System. The two companies have collaborated to produce highly accurate surgical guides while refining additional 3D printing solutions, towards the accelerated implementation of the digital dental highway for dental labs worldwide, bringing mass customization to small and mid-sized labs. Is there any other product like this? This is the first surgical guides software that have build-in the manufacturing pre-settings for Stratasys 3D Printers for such digital workflow. Although there are other surgical guides software solutions – this is the first one that has such integration of validated pre-settings values for full production. What can dental labs do now that they couldn’t do before this? Dental labs and dentists achieve accurate implant planning, and can produce aesthetic, high quality prosthetic solutions. The newly added pre-settings for Stratasys 3D Printers enable 3Shape users to generate an STL file optimized for Stratasys dental 3D printing systems, ensuring smooth workflow with superior results. Will this change the patient experience somehow? Faster? More comfortable? Less Expensive? The optimized manufacturing pre-settings have been added to the latest release of 3Shape Surgical Guides Production software and will result more accurate models in less redo or errors. Are there other dental applications for 3D printing that you see coming down the road? The dental market has just entered into its digital era, and in few years, we believe, it will turn to a complete digital. In the near future, you will see ‘digital dental labs’ and not ‘crown and bridges labs’ as you see today. We, at Stratasys are committed to lead this change and revolution. Fueled by the dental lab industry’s ongoing quest for highly flexible, cost‐effective, and ‘future‐proof’ solutions and our ongoing commitment to enable a continuous workflow in the clinical setting, we are working hard to be the dominating player in this market. 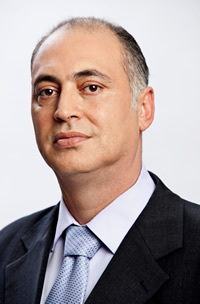 Avi Cohen, Director of Global Dental at Stratasys Ltd In 1999, Avi Cohen joined the Stratasys Ltd (formealy Objet Geometries Ltd) after nearly seven years on the graduate business faculty at New Haven University Connecticut. Since coming to Objet Geometries Ltd, he has served on the Global Customer Support Manager, brings with him seven years of experience in management of international customer support organizations. Prior to that, he served at different bio- medical companies, in various executive customer and product support high management positions, both in Israel and in the APAC. Since 2005, Avi’s career took another leap forward as he has been involved in developing and setting up global applications solutions responsibilities at Objet Geometries Ltd, and in past years focusing on the growing medical and dental segments. 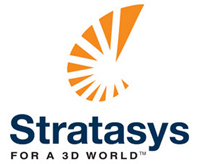 In his current position, Avi Cohen is managing the worldwide dental and medical solutions at Stratasys Ltd. He has experience in the following industries: Medical CT and MRI, Dental scanning and software solutions, 3D Printing, modelling and design – in both marketing and business development aspects. Avi is a recognized technology leader known for requisite strategic vision in bringing digital solutions into dental and medical arena.